Superconducting quantum microwave circuits can function as qubits, the building blocks of a future quantum computer. A critical component of these circuits, the Josephson junction, is typically made using aluminium oxide. Researchers in the Quantum Nanoscience department at the Delft University of Technology have now successfully incorporated a graphene Josephson junction into a superconducting microwave circuit. Their work provides new insight into the interaction of superconductivity and graphene and its possibilities as a material for quantum technologies. The essential building block of a quantum computer is the quantum bit, or qubit. Unlike regular bits, which can either be one or zero, qubits can be one, zero or a superposition of both these states. This last possibility, that bits can be in a superposition of two states at the same time, allows quantum computers to work in ways not possible with classical computers. The implications are profound: Quantum computers will be able to solve problems that will take a regular computer longer than the age of the universe to solve. There are many ways to create qubits. One of the tried and tested methods is by using superconducting microwave circuits. These circuits can be engineered in such a way that they behave as harmonic oscillators "If we put a charge on one side, it will go through the inductor and oscillate back and forth," said Professor Gary Steele. "We make our qubits out of the different states of this charge bouncing back and forth." An essential element of quantum microwave circuits is the so-called Josephson junction, which can, for example, consist of a non-superconducting material that separates two layers of superconducting material. Pairs of superconducting electrons can tunnel through this barrier, from one superconductor to the other, resulting in a supercurrent that can flow indefinitely long without any voltage applied. In state-of-the art Josephson junctions for quantum circuits, the weak link is a thin layer of aluminium oxide separating two aluminium electrodes. "However, these can only be tuned with the use of a magnetic field, potentially leading to cross-talk and on-chip heating, which can complicate their use in future applications," said Steele. Graphene offers a possible solution. It has proven to host robust supercurrents over micron distances that survive in magnetic fields of up to a few Tesla. However, these devices had thus far been limited to direct current (DC) applications. Applications in microwave circuits, such as qubits or parametric amplifiers, had not been explored. The research team at Delft University of Technology incorporated a graphene Josephson junction into a superconducting microwave circuit. By characterizing their device in the DC regime, they showed that their graphene Josephson junction exhibits ballistic supercurrent that can be tuned by the use of a gate voltage, which prevents the device from heating up. Upon exciting the circuit with microwave radiation, the researchers directly observed the Josephson inductance of the junction, which had up to this point not been directly accessible in graphene superconducting devices. The researchers believe that graphene Josephson junctions have the potential to play an important part in future quantum computers. 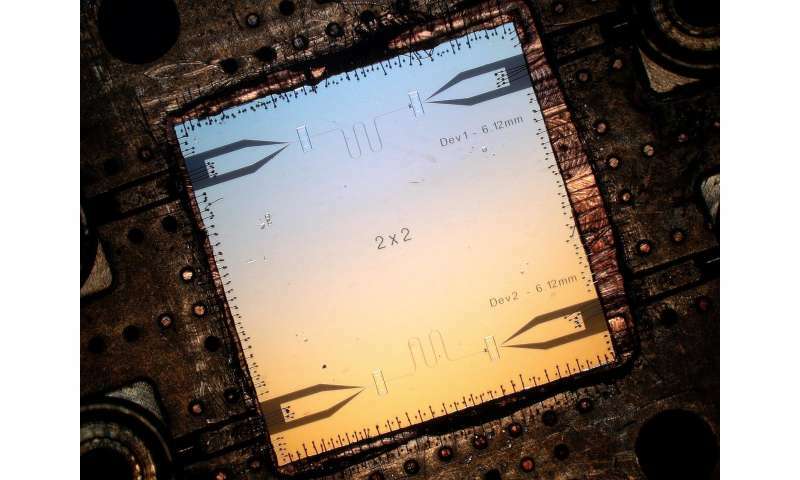 "It remains to be seen if they can be made into viable qubits, however," said Steele. 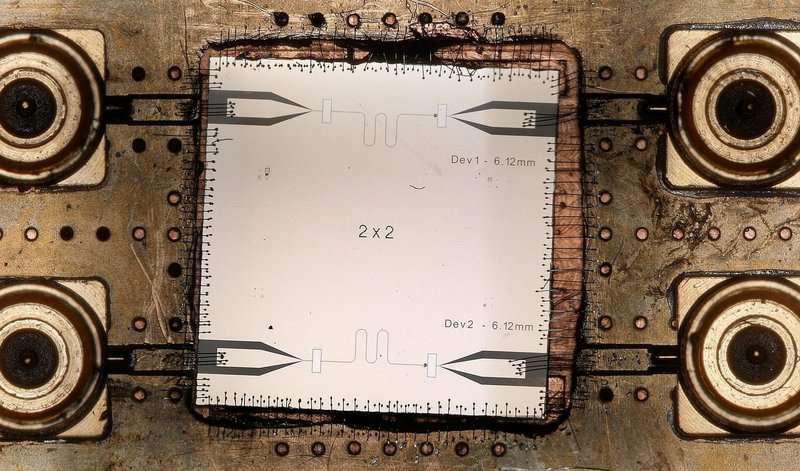 While the graphene junctions were good enough for building qubits, they were not as coherent as traditional quantum microwave circuits based on aluminium oxide junctions, so further development of the technology is required. However, in applications that don't require high coherence, gate tunability could be useful now. One such application is in amplifiers, which are also important in quantum infrastructure. Steele: "We are quite excited about using these devices for quantum amplifier applications." The authors have made all of the data published in the manuscript available in an open repository, including the path all the way back to the data as it was measured from the instrument. In addition, the researchers released all of the software used for measuring the data, analysing the data, and making the plots in the figures under an open-source licence. The results of the study have been published in Nature Communications.